It sounds impossible. An expert with decades of experience says global warming between 4 to 6 degrees could lead to mass die-off of the plankton that produces up to 70% of the world’s oxygen. Forget rising seas Sergei Petrovskii says, we are more likely to stifle than drown. 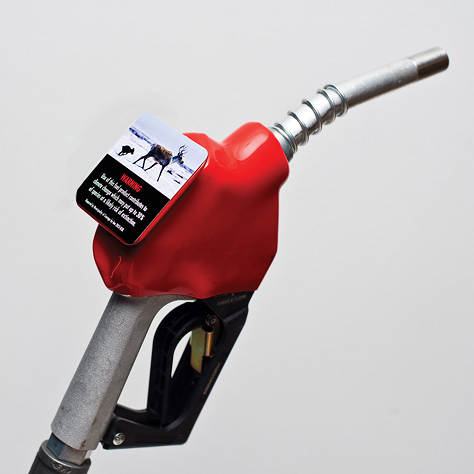 I’ll also be talking with Robert Shirkey, the Canadian campaigner who got climate warning stickers put on gas pumps, and his campaign to take it global. But first, we’re going to visit with an “economic anthropologist” – and one of Sweden’s leading thinkers on the economy, money and climate change. Alf Hornborg is hoping the next economic crisis can help us change. Imagine technology as a system that gathers up days of people’s lives, mixes them with nature, physical and living things – and channels products toward a minority, in fact, to a dwindling number of the wealthy elite. All the while, the same technology reduces our chances for survival. I think that’s how the Swedish author, and anthropologist Alf Hornborg sees it, but only he can say, in this Radio Ecoshock interview. It seems everyone, from greens to super-capitalists, is looking for the next technology to save us. It’s solar power, it’s geoengineering, it new nuclear tech – but there are other options. It turns out that technology organizes humans to draw time and work from other people’s lives, and channel it upward to a diminishing number of people at the top. We just learned that the top 1% in this world own more than the 99% rest of humans on the planet. Hornborg says politics is really about the ways and means of money. Speaking in Paris a couple of years ago, he suggested only an economic crisis would open doorways for meaningful change. It looks like we are entering another crisis now. Should that give us hope? Our best hope may be for smaller disasters to come soon, rather larger ones later in this century. At 17 minutes of this video, he explains in concrete terms how this could work. It would drastically increase demand for goods and services that are locally produced. These are more likely to be equitable between people, and have a hope of being sustainable, without the ecological costs of long-range transport. “It would radically decrease the demand for long-distance imports”. Fossil fuels used in global transport would be “radically reduced”. 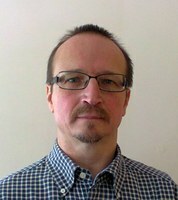 Alf Hornborg became more widely known after his 2001 book “The Power of the Machine“. This year he will publish another, titled “Global Magic: Technologies of Appropriation from Ancient Rome to Wall Street.”. I ask Alf for a couple of examples of the way his thinking has evolved in the last 15 years. Hornborg has compared social blindness to slavery in Rome, or in colonial America, to our current rationalization for lifestyles we know are changing not just the weather, but the climate for millennia to come. How does it work, and is there a cure? We started talking about technology. People grudgingly admit money could be a root of evil, but surely not technology! Is Hornborg suggesting we can unplug, and walk away from the “technomass” we have created? Would not billions of people die in short order if we did? Actually, Alf says, the fear that billions would die without technology is a myth. There is still enough land to return to, and by the way, if all humans gave up eating animals and animal bi-products, there may be enough to feed 30 billion human vegans. One justification is the geographical locus of this collection machine has shown an ability to shift over time. We think of the rise of Japan, Korea, and now China as centers of not just technology, but the accumulation of capital. The wealth might appear anywhere, we say. Or does technology always need slums and poverty somewhere else? Hornborg says it does. Provocatively he says “The steam engine would not have been possible without the American slave plantations“. Technology, Hornborg says, is not the idea, or the blueprints. It is the system that keeps the machinery functioning over time – and that always, he says, demands appropriation of the time, resources, or spaces of others who are disadvantaged compared to the user of the technology. I reached Alf at the prestigious Lund University in Sweden, where he has been Professor of Human Ecology since 1993. You can find a wiki-style bio of Alf Hornborg here. Here is a stimulating interview on the blog “Collapse of Industrial Civilization” about the way we have all been mystified by technology. Watch this 2013 interview with Alf on Vimeo, from the Paris conference “Thinking the Anthropocene”. atmosphere dies off, we are more likely to stifle than drown. Under the Climate Change’ as published in the Bulletin of Mathematical Biology, with an abstract here. learn in the interview that Petrovksii was a senior scientist at the Russian Shirshov Institute of Oceanology for 15 years before moving to Britain. His work in Russia involved modelling plankton growth. So he is more than qualified. 1. Most discussion on the impacts of global warming on the oceans focus on changes in global circulation or impacts on polar ice, with consequent sea level rising. 2. But the oceans are also the world’s largest ecosystem of living things. 3. Plankton has been studied as the basis for the food chain, and consequently fisheries. It’s also a good measure of the biomass in the seas. 4. Plankton also provide the majority of the world’s oxygen. 5. Plankton production is well-known to be sensitive to ocean temperatures. 6. The plant type of plankton produces oxygen in the day, and consumes oxygen at night. The difference produced, and released into the atmosphere, is the “net oxygen production”. Scientists know this all-important net production of oxygen (and reduction of CO2) depends on ocean temperatures. Studies of some plankton species find that oxygen production goes up as the oceans warm, Petrovskii and his co-author Yadigar Sekerci proceed with an abundance of caution. After all there are many, many different types of plankton, and perhaps not all will flourish with warmer water. So the authors make two models, one which assumes that plankton/oxygen will increase as the oceans warm, and one that assumes a decrease. The amazing (and frightening) result is: whether plankton/oxygen increases or decreases as the oceans warm, IN BOTH CASES a tipping point develops where plankton, and the oxygen they make, crashes, possibly toward extinction levels. If I take only one thing away from this interview with Sergei Petrovskii, it is this: reality is littered with traps. In hindsight we can see that a semi-intelligent species discovering mechanical power from stored carbon riches may well self-exterminate with them, due to the carbon/climate trap. us our worries were overblown. But then, a limit beyond sustainable cycles is reached, and plankton world-wide could experience a mass die-off. That’s another trap: it looks good, until, as Petrovskii and his colleagues call it, “catastrophe 2” occurs. nightmare rather than waiting to find out the hard way. Using NASA satellite data, Jorge Sarmiento of Princeton University in Princeton, N.J., and colleagues have demonstrated the close links between ocean productivity and global trends in climate. Guinder, marine biologist at UNS Argentina. “Research led by Deakin University (Warrnambool, Australia) and Swansea University (UK) has found that a species of cold water plankton in the North Atlantic, that is a vital food source for fish such as cod and hake, is in decline as the oceans warm. This will put pressure on the fisheries that rely on abundant supplies of these fish. have to be factored in. FINALLY: GAS PUMP WARNING STICKERS! law practice to put us right into the climate changer driver’s seat. “On Nov. 16, 2015, the City of North Vancouver made world history when its council unanimously voted to mandate climate change risk disclosures on gas pumps. It’s an idea that my organization developed and launched in early 2013 and it has since been endorsed by over a hundred academics from a variety of disciplines at universities across North America, including some of the top climate change researchers in the world. fossil fuel production, but from OUR TAILPIPES and other end uses. We should know that. The colorful labels fit right on the gas pump handles, where gas stations conveniently places a square spot for advertising. Instead, you get a photo of a polar bear, or a flooded city, with a warning that using gasoline endangers the climate of the world. Robert Shirkey is the leader of the new group ourhorizon.org. You can help support his campaign to get local governments to force climate warning stickers on all gas pumps, but contributing at his site. Right now he’s running the whole thing on his VISA card, he tells us. Watch Robert’s video on gas pump labels here. I totally support Robert’s campaign, and expect to see warning labels on all gas pumps soon. All of humanity's lectricity production is only 18% of TWED. 82% of TWED is not electrical generation. That's the power we need to extract minerals for roads, cement, mines, ships etc. In the last 20 years, solar-wind energy production is up from 1% to 3% of TWED. Solar-wind power are projected to provide only 6% of TWED by 2030. When you hear projections about solar-wind generating 50% of electrical power by 2050, that's really only 9% of TWED. But, it takes 10X as much solar-wind energy to close 1 fossil fuel power plant simply because they don't produce energy all the time. That means it will take 10 X 18% of TWED to close all fossil power plants. Research says it will take 4 X 82% of TWED for a 100% wind-solar energy transition. 10 X 18% of TWED + 4 X 82% of TWED = 100% renewable TWED. To get the same total power we use now, we would need several times more intermittent energy. These figures do not include massive electrical storage and grid infrastructure. Such infrastructure is hundreds of millions of tons of materials taking decades, demanding more energy and additional trillions of dollars. Solar-wind systems last 30 years meaning we will always have to do it all over the world again 50% sooner than fossil sources. They are an energy trap. The real reason solar panels are so cheap is that China ships to 75% of the world's solar market. In 60 years humanity will not have enough soil to grow food says Scientific American. Humanity's soil is eroding away and being degraded at 24 million acres per year. This number will increase with severe droughts, storms and low-land floods. 50% of China's low-land rice paddies are threatened. 50% of humanity depends on rice to survive. A 100% TWED transition will take 2 generations to get done — minimum. It is a vastly more difficult and complex goal than you are told. We are losing earth's soil and fresh water faster than we can effect 100% renewable TWED. In my opinion, in 30 years we won't have enough fossil fuel for a 100% renewable TWED transition. Without massive energy demand destruction, renewable energy is unsustainable. 50% of the soy grown in South America is shipped over to China to feed their pigs. Rainforests are cleared to grow animal feed and the required fresh water is, in reality, diverted China. 50% of China's rivers have vanished since 1980. 60% of China's groundwater is poisoned. 50% of China's cropland is poisoned. Animal agriculture will destroy our soil and water long before we can effect a 100% intermittent energy transition with BAU. 7 billion people will not stop eating meat and wasting food without major cash incentive. Meaning a carbon tax on meat. Just saying that can get you killed in some places. Without using Hansen's tax dividends to carbon tax meat consumption out of the market earth will die. We have to act now, not 5 years from now, or forever be not remembered as the least greatest generation because there'll be no one left to remember. Michasel Mann says we will lock-in a 2 degree temperature rise in 3 years for 2036 with BAU. We cannot let governments get control of carbon markets like how Sanders, Klein and McKibben want government to get 60% of your carbon tax money. This is direct opposition to Hansen's plan and immoral. I strongly believe it should be in a new world e-currency directly deposited to your phone. Sorry for dumping on your page Alex, good work. But I keep getting banned everywhere I go. lol. You asked Sergei Petrovskii about the impact of acidifying oceans and he stated that he had yet to factor that in. While reading the blog notes before listening I asked myself if his model factored in the "Global Dimming" impact, loss of sunlight hitting the surface due to particulate pollution from burning fuels. This has been ongoing, so his initial observations may have observed plankton levels per already-dimmed sunlight. How would more particulate pollution or a cessation of polution impact the oxygen production of phytoplankton. Considering that they are already submersed in water, I would assume that relative changes in available sunlight would impact them stronger than land plants. If you have further contact with Dr. Petrovskii perhaps you could confirm that he's aware of this as a factor. Tim – good point. I hadn't thought of that either. I will pass that on to Sergei. He was pretty open about the number of ways this model needs to be refined. For example, I asked him about Zooplankton, the animal variety, because… if ocean acidification makes it hard for the zillions of zooplankton who form shells, then there may be fewer of those tiny animals to eat the plant plankton. Could that result in an increase of plant species? Would that affect the model? There are a lot of complicating factors, however I suspect Petrovskii's decades of experience in these matters, and the fact that he published this peer-reviewed paper, implies he has confidence that few or none of the modifying factors are large enough to counteract the main result. Another interesting show Alex. Thanks. Alf Hornborg mentions that we'll have live on a much lower carbon budget. For the figures see http://piketty.pse.ens.fr/files/ChancelPiketty2015.pdf p15. See the derivation of the sustainable figure from footnote 7 on p15. The figure assumes the IPCC carbon budget of 1000 GtCO2. Now if we look at Kevin Anderson's Duality Paper (http://kevinanderson.info/blog/duality-in-climate-science/) we need to revise the figure somewhat. Post 2020 (The assumption when emissions peak; and one has included 2011 to 2014 emissions) budget until 2100 is 470 GtCO2 taking also into account: deforestation and cement production (assuming it becomes a carbon negative tech by 2100). This is just over half so the sustainable budget is more like 0.6tCO2e7. Well that is a reduction in consumption of 33 times for the US; 15 times for Western Europe or 10 times if you are the average. So, as it stands now, even if we all became vegan, ate food and did nothing else we'd still blow through the carbon budget (by a factor of two). So just reducing our consumption to just a fraction is not as easy as it sounds. As I've mentioned in previous posts this assumes the IPCC figures are the worst case scenario. This I'm highly sceptical of. See the work of James Hansen (and that may even be conservative). Alex, I'm interested in where Alf gets the figure for "if all humans gave up eating animals and animal bi-products, there may be enough to feed 30 billion human vegans." Does this method of feeding still deplete soil? That would be great. Thanks. I love the topics you cover in these shows so I have started coming to your website now. But I was intrigued by Horborg's claim that all of humanity could survive without fossil fuels and that if we all became vegans we could support 30 billion. Those don't agree with the numbers I've seen and played with. Basically, humanity uses about a quarter of the planet's total biological production, with half of that being direct consumption and half being other factors such as ecological degradation and co-opting. That 12% of the planet's production that we consume is biofuels and food, about equal amounts. Biofuels + food is equal to about how much fossil fuels we use. So basically, if we were to replace fossil fuels with biofuels we are looking at consumption of 1/4 of the planet's production which equates to an appropriation of roughly 1/2 of the planet's production — that's an ecological disaster and isn't possible. This is a very conservative analysis because it assumes that fossil fuel calories are equivalent to biofuel calories which they aren't — biofuels are much less useful because of their physical properties, and in order to turn them in to something similar to fossil fuels is an inefficient process and you are losing a lot of energy there. But the bigger problem is that the production of biofuels and food is highly subsidized with fossil fuels, Basically, that 12% of the planet that we currently consume via fossil fuels and biofuels only comes about because of fossil fuels, because of intensive agriculture. So crop yields could not be expected to be maintained without fossil fuels. I hear about intensive organic agriculture but I don't understand how that can increase production rates beyond natural ecosystem production rates, and we would need production several fold beyond natural production rates in order to keep modern society together. And the scary part is that even with all of today's intensive industrial agriculture, the planet still produces no more biomass than it did originally because we have offset those production increases with degradation in other ecosystems. It takes roughly 10 calories of fossil fuels to grow, harvest, process, transport and prepare one calorie of food ready to eat. It is easy to say we'll just use less, but the specific implications of this are rarely elaborated with numbers. Where is the food going to come from? How is it going to be transported and protected from spoilage when we have much less energy to do so? This isn't the 1930's, people can't just hunker down on their farms and scrape by. So many people live in dense cities with no way to get food unless it is grown and distributed in a modern network. Are these people going to return to the land when the time comes? Where? There isn't that much land available. As for renewable energy, it only produces electricity which doesn't help us much for agriculture and even for transportation, we are looking at way less than 1% of transport out there being electricity driven even right now. Don't mean to be a downer but I try to be realistic. I'd be interested if someone could point me in the direction of the studies which say we could support 7 billion people without fossil fuels. I did some analysis if anyone is interested. Click on my name. Oops, I should have said, "Basically, that 12% of the planet that we currently consume via FOOD and biofuels…"